Sometimes just the feeling of the grass beneath your feet, makes you know you’re in the right place. 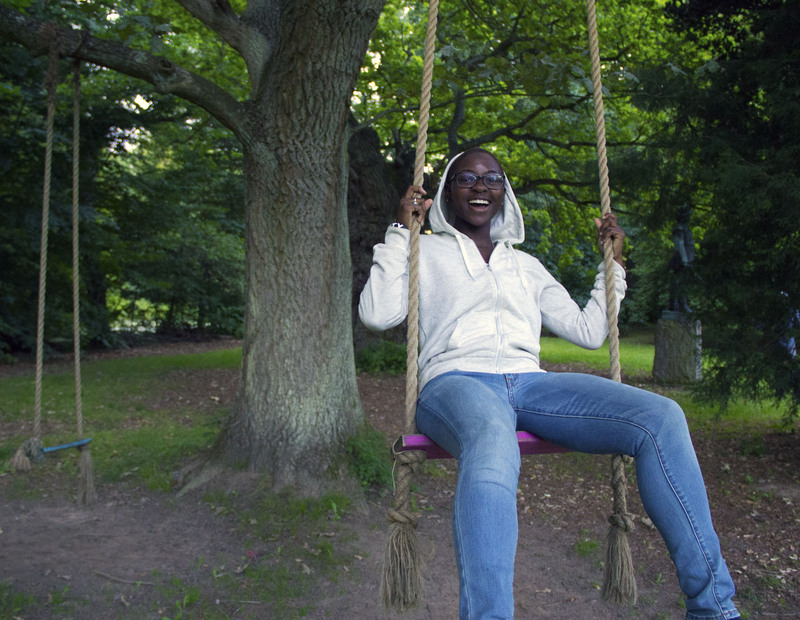 For Kimberly Thomas, this is exactly the case: From her folkehøjskole in Humlebæk to her classes at DIS, she’s professing her love for her semester abroad, in a big way. Since it’s almost impossible for me to write out just how much my world views, tolerance, goals and passions have changed since arriving in Denmark, I won’t attempt to explain it just yet. I’ve decided that maybe I should wait until I return to the states and that way, if you’re really interested, you can ask me and I’ll just tell you. Hopefully it will be more coherent then than if I try to construct it within the limitations of written sentences now. Now that I got that off my chest, I do want to share with you what I consider to be the heart and and real excitement of my experience thus far, and that is actually school! No, that is not a typo, yes I have traveled around, and yes I’ve been having fun, but class still takes the cake which means A LOT coming from me since I’d rather explore. But my classes have been what has made that possible.. The reasons I chose to come to DIS have proven themselves true and have opened up a world of opportunity for me that would not have been possible if I had gone somewhere else or stayed at home. Let me explain. 1) We get THREE FULL WEEKS of travel time. 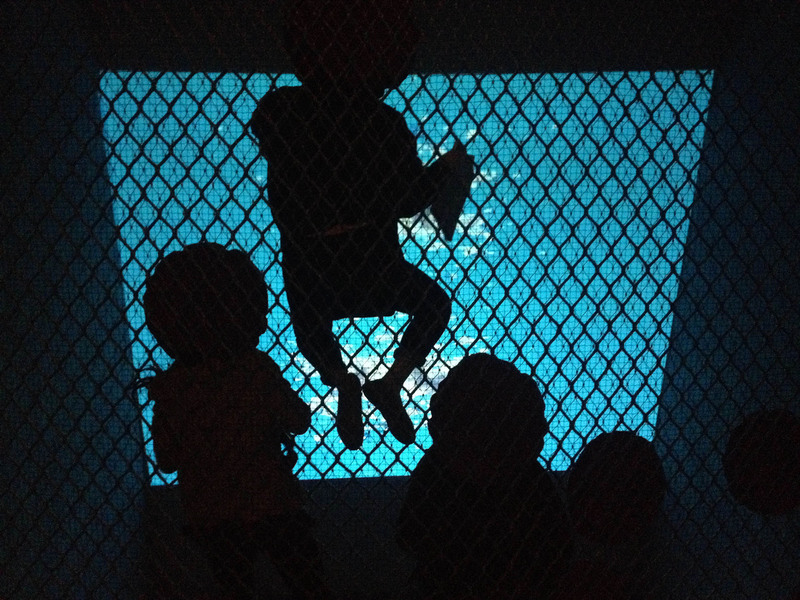 During our week-long study tour, we climbed into a netted space in the ceiling to view short contemporary art films at Museum Van Boijmans Beuningen in Rotterdam, Netherlands. 2) ALL of my professors are Bosses. And I mean that. DIS only allows working professionals to teach topics related to fields that they actually work in. Not only do they have to be in that field, but be thriving. For example, my graphic design studio professor designed the fonts for Carlsberg beer (biggest Scandinavian brand) and the DSB transportation system that serves Denmark and part of Sweden. He also owns his own company and is responsible for the bachelors program at one of Copenhagen’s best design schools. My human trafficking professor co-founded her own NGO that rescues and assists trafficking victims in conjunction with the Denmark police and the United Nations. My urban planning professors (three in total) are all working architects that have helped design and plan for many of the buildings and spaces we see around the city, and my Danish professor speaks 4 languages, was a translator for a consulting group and a tour guide in Denmark for a few years. Need I say more? 3) Trained for forward thinking. All of our instruction and activities bridge the current happenings and trends within our fields of study to the future of that subject. They are truly teaching us how to think progressively and apply history and what we currently know to creating solutions and ideas for the future. It feels amazing to be reminded that you have what it takes to execute the plans you imagine when you’re given the tools, room and support to do so. 4) Field Studies. Study Tours. Course Weeks and……readings! 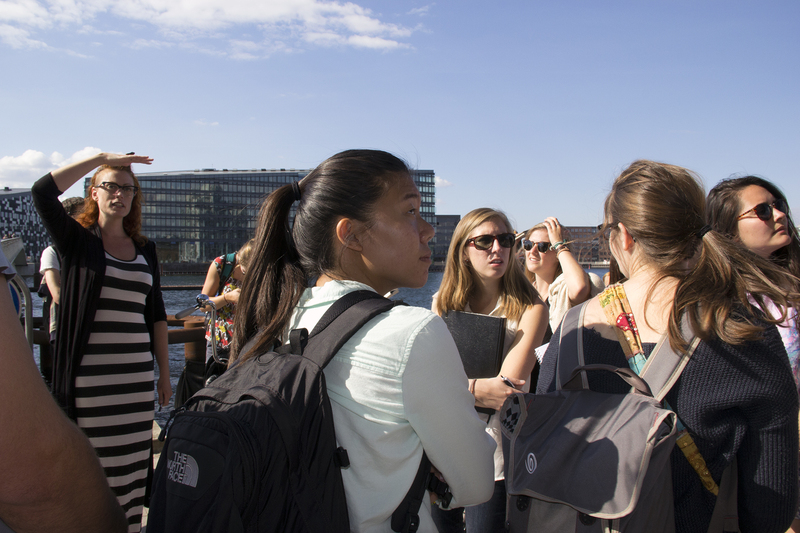 During a field study in a course called “Livability in a Modern City, architect, urban designer and professor Bianca Hermansen (far left) challenges the way we perceive “livable and accessible” space in Islands Brygge. we travel to other countries during our core course week (for our main subject of study), and we go on 4 day and 5-7 day study tours around Denmark and/or to other countries to visit places in areas notable for what we’re studying, along with other fun, random things! You can’t get more “hands on” than that. 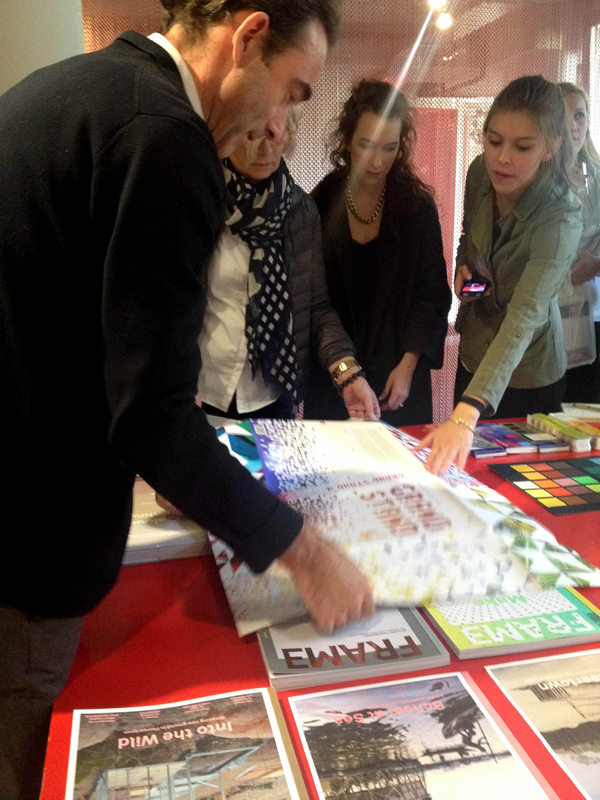 During our long study tour, we met and interacted with Robert Thiemann, a founder of Frame Publishers based in Amsterdam. This company produces the world famous magazines “Frame,” “Mark” and “Elephant for creative professionals. 5) NO SCHOOL ON WEDNESDAYS. Whoever thought of this is the most beautiful and intelligent person I’ve never known. I cannot describe what having a break in the middle of the week does for my overall level of happiness. 6) The chance to navigate an entire city and its surrounding areas. Unlike what I’m used to, DIS is at the center of the city, and you feel like an adult -a real one- finding your way from wherever you live to get to class on time. You can change your route as often as you like after taking a few trains, buses, metros and/or walks. This has greatly improved my me time management skills since I have to time a train from where I live 1 hr. 15 min. away, catch another train and then walk. Again, very different from the campus that I’m used to where all students live at least remotely close and can walk or take one bus. As a lively and environmentally conscious city, your method of transport is totally up to you. On any given day, you will find more bikes and buses than cars and trains. This creates more room for people to actually navigate and experience the city as a public space. From the moment we applied to program, to the moment we landed in the airport up until now, DIS has managed to maintain such an organized system and support for all of its students. It’s actually unreal how easy it is to get info, change things, communicate concerns and do/find anything else you could think of. I have not had to worry about a SINGLE logistic, which is incredible. If I did, they already knew about it and were working on it. We even have class reps that meet with professors and departments weekly to make suggestions and voice concerns that are ACTUALLY, really taken into account and implemented before your eyes. I’ve gotten REAL immersion. Like Danes in your face all the time in a good way immersion, at least for me. This has mostly been because of the folkhøjskole option that was offered. I talked about it in a previous post if you’re curious as to what the heck that is. 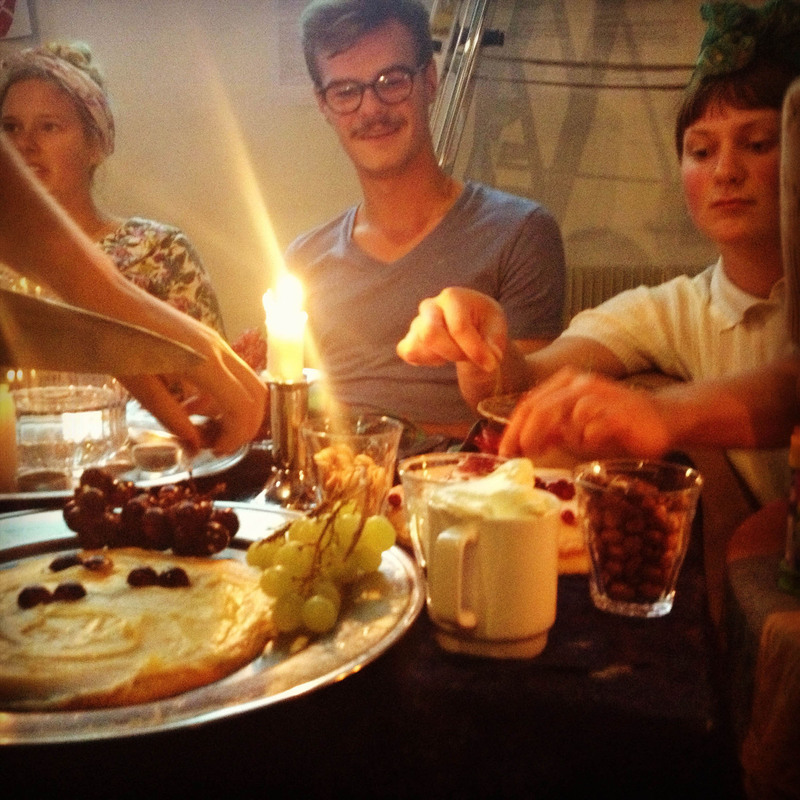 Danish students from my Folkhøjskole, Krogerup Højskole, helping us make “lagkage,” a traditional Danish cake made for birthdays. Even though this one did not use the traditional jam and bananas, it was quite tasty! Food, school supplies, museums, parks, food, bikes, events and mostly importantly, did I say food? Every college student’s dream in a land where just a sandwich ranges from $8-$10 USD. 10) An excellent opportunity to add your definition of diversity to a vibrant city! 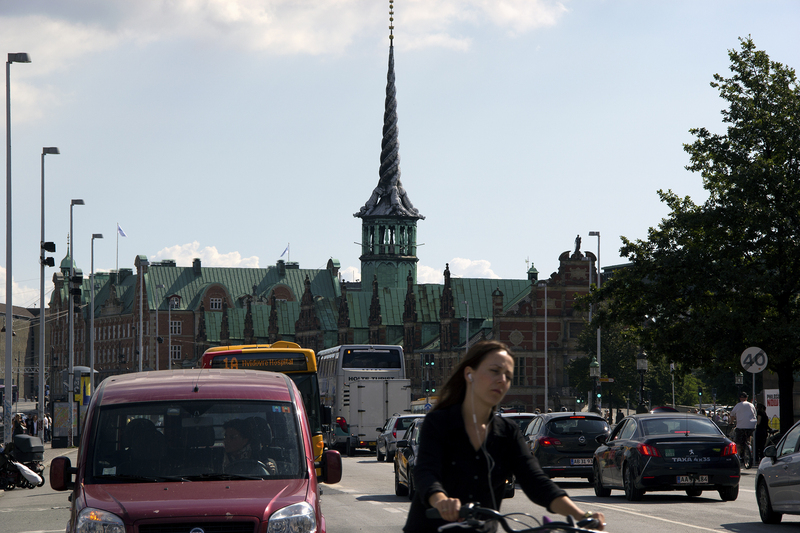 Copenhagen as a city can seem a bit homogenous in some aspects, but is very open to diversity ethnically, socially, politically, sexually and various other ways. Danes make it easy to express your thoughts, as they love to engage in friendly discussions out of curiosity about subjects we tend to be more reserved about but sometimes secretly enjoy as Americans. Dinner conversations often cycle through the bipartisan system, religion, culture, weather, travel goals, etc. In my experience, it always leads to a good time and you can feel free to bring your own perspective, personality and background into social moments and have it respected. 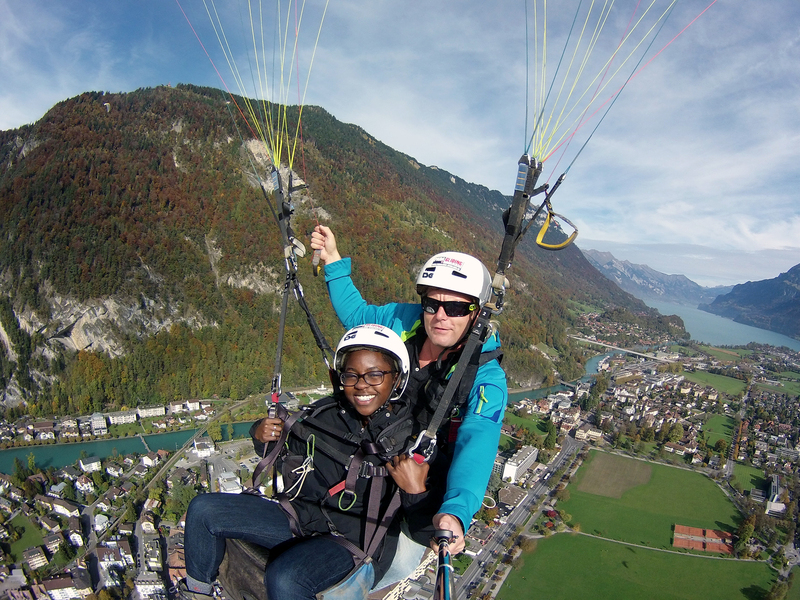 So, are you thinking of studying abroad yet? Regardless of whether you’re thinking about it a lot, a little, or not at all, you should do it and watch how expanding your comfort zone reshapes your life, as it has mine. DIS is the perfect place to start.